We are pretty excited to be sharing the following engagement session! Erin & Oliver toured us around the town of Richmond near London, England this summer. 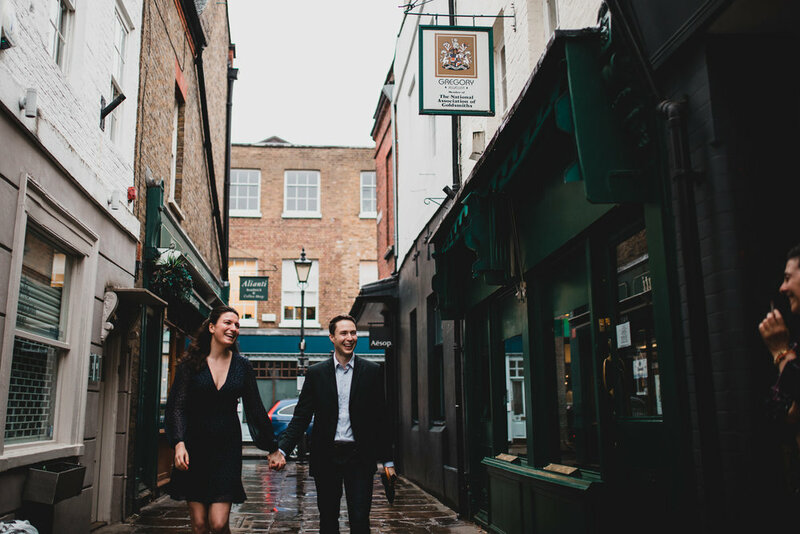 While they'll be wed back here in Ontario, they're currently living overseas and we were thrilled when we realized we would be able to do their engagement shoot during our trip around the United Kingdom. In true British fashion, the day was grey and rainy but with a bit of the River Thames and a bunch of wild deer thrown in there, it made for an incredible way to spend our first day in England. And because when in the UK, right?